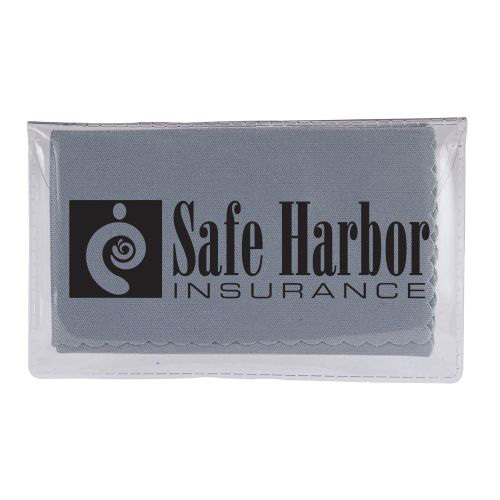 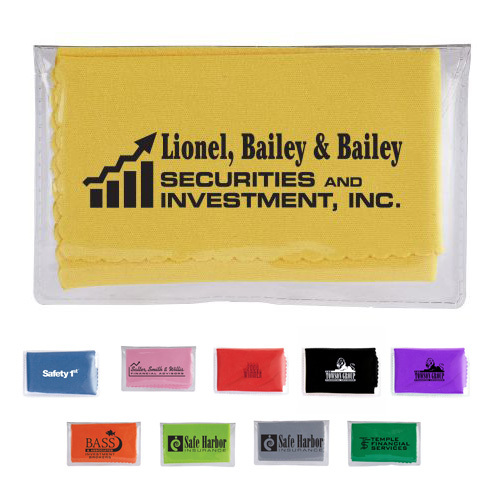 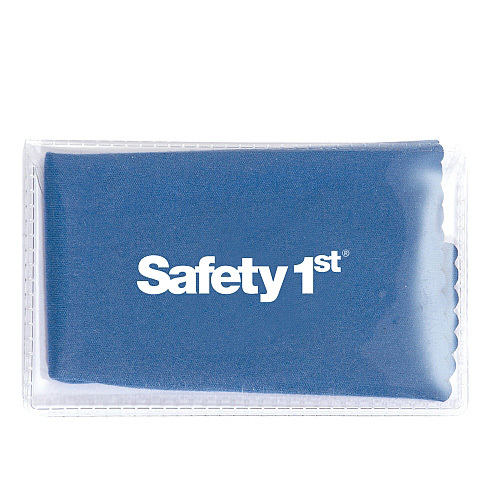 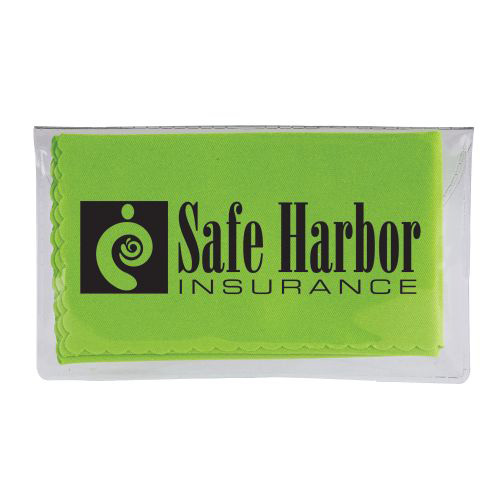 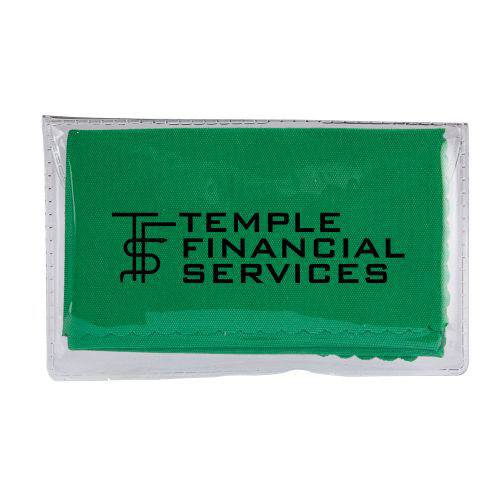 Microfiber Cloth Help your clients see things clearly. 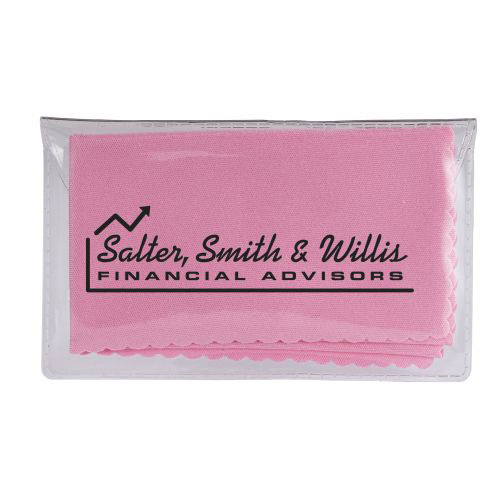 This microfiber cloth is a handy item for cleaning the screens of your phones or your eyeglasses. 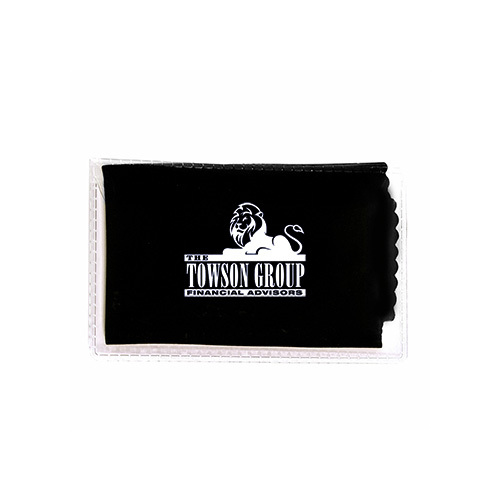 This cloth comes in its own carrying pouch.This pouch can be customized to your specifications and measures 2 3/8" x 4" so it fits easily into any pocket or briefcase! 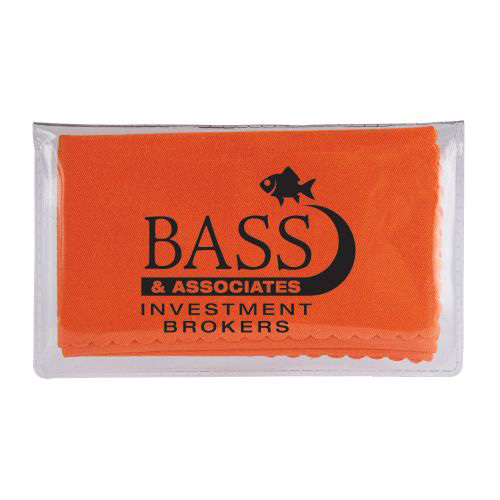 This cloth is available in several colors and is the perfect way to promote eye health or keep clean the screen of any electronic device! 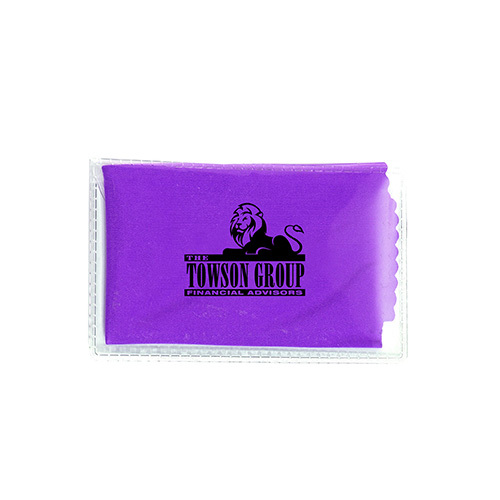 Bulk / 44 lbs / 2070 pcs. 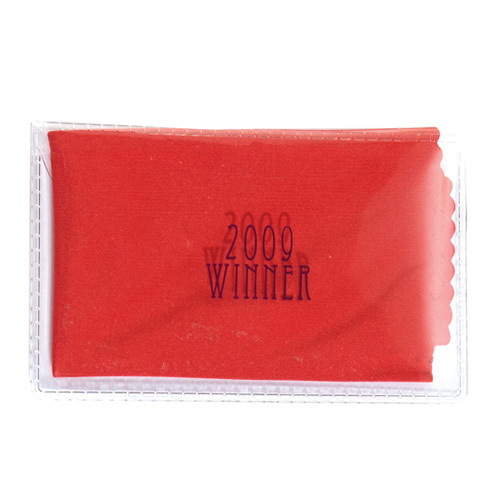 / 12.5x12.5x18.5box. 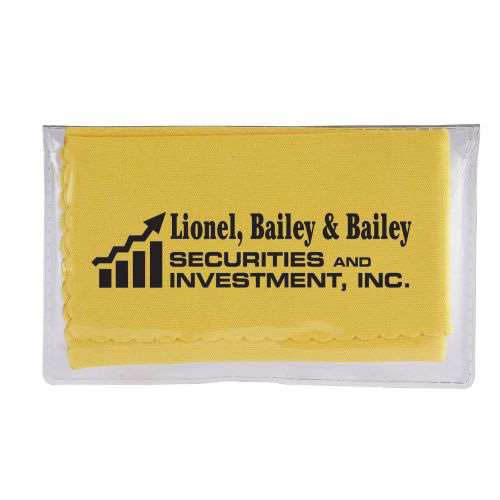 Imprint Area: 1 1/2" x 2 1/2"